India now demands more. 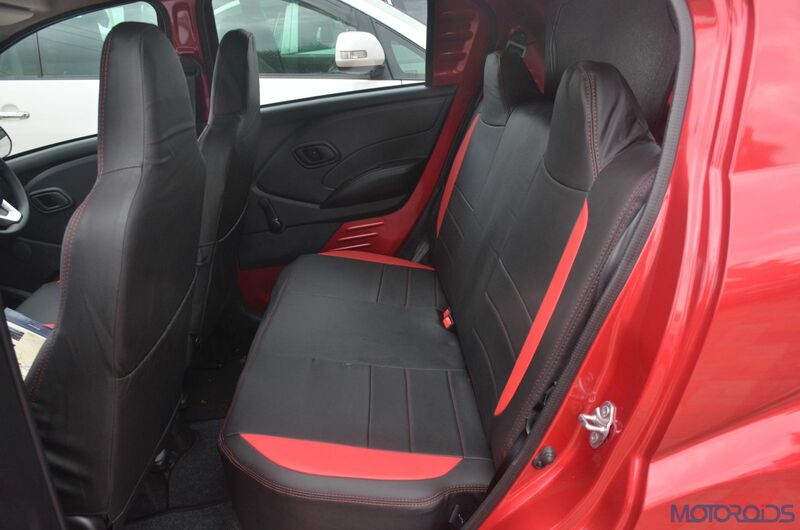 More, even from those comforts which are toned down to suit our pockets. A fact that was all the more evident when all three tobacco rubbing passengers ahead of me reclined their backrests while the aircraft was still in the bay. When asked to pull it upright, one of them would do it while flashing his fake Cartier watch, only to push it back again sneakily. Seated in a row where the backrests don’t recline for safety reasons, I overheard their conversation which justified serving liquor on domestic flights. Then there was an announcement which said if only I could pay a little more, I could enjoy the premium space in the row behind. Clearly then, ‘More’ was the order of the day. 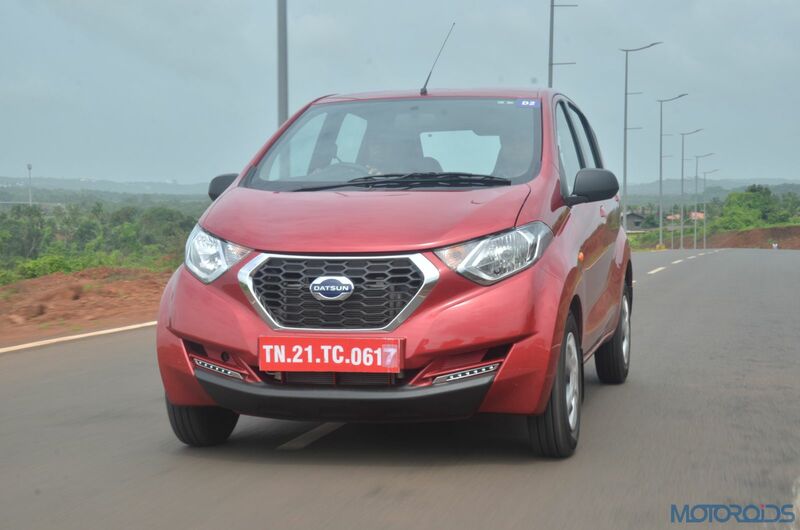 The new Datsun redi-GO 1.0L then is aptly following market dynamics. Like LCCs offering the magical luxury of flying at the cost of frozen yoghurt, garnishing it with optional toppings to enhance your experience, the 1.0-litre iSat motor on the Datsun redi-GO is a sprinkling of little M&Ms you can have on top of your basic looking dessert. For an Urban Crossover that boasts of ground clearance which is more than a Hyundai Creta, it still dangles the romantic carrot of driving your own car at a really low price point. For a little extra though, you may choose to experience a little Magic Pop crackling on your tongue. Since the only major change is under the hood and a little badge on the tailgate, we’ll talk about just that. 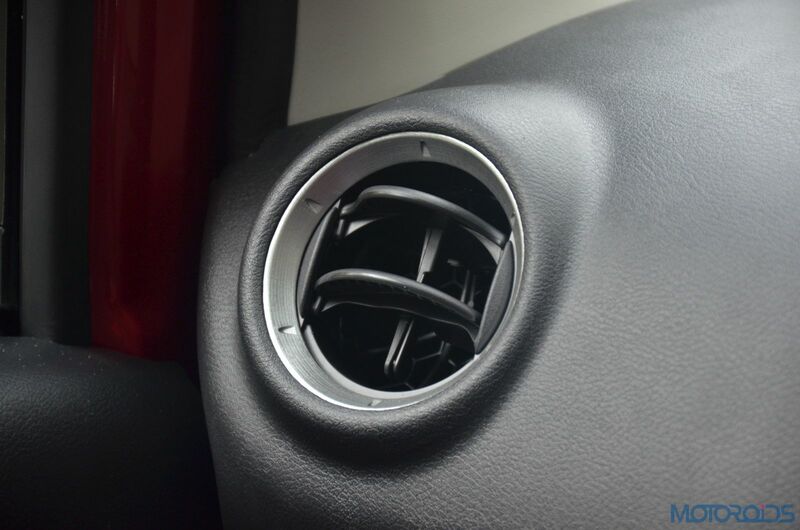 Although you may click this part to read our earlier review of the car. The new 3-cylinder 1.0-litre motor is good for 68 PS at 5,000 rpm and 91 Nm of twist at 4,250 rpm. 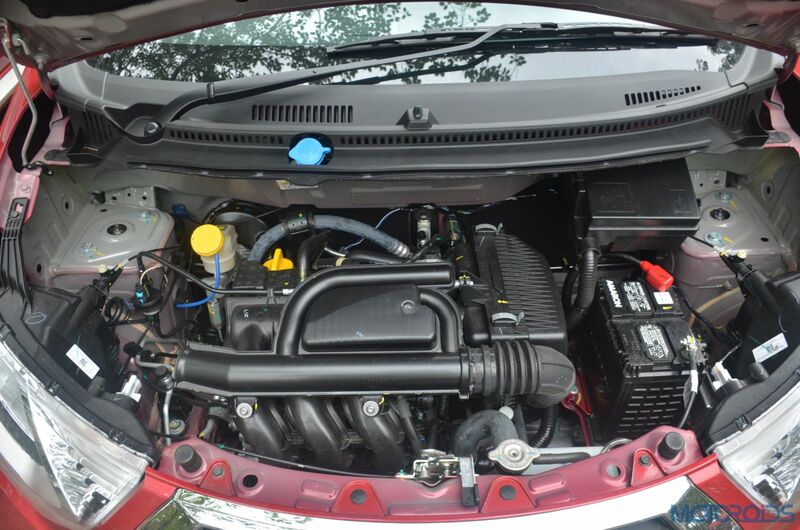 Rated for a fuel economy figure of 22.5 kpl, it settles into a slightly uneven idle after the first crank, which smoothens out a fair bit after things warm up. Getting off the mark without any throttle inputs is possible, however, a little amount of judder creeps into the cabin when you do that. A slight input on the A pedal irons things out, post which, the first ratio runs out of steam rather quickly. 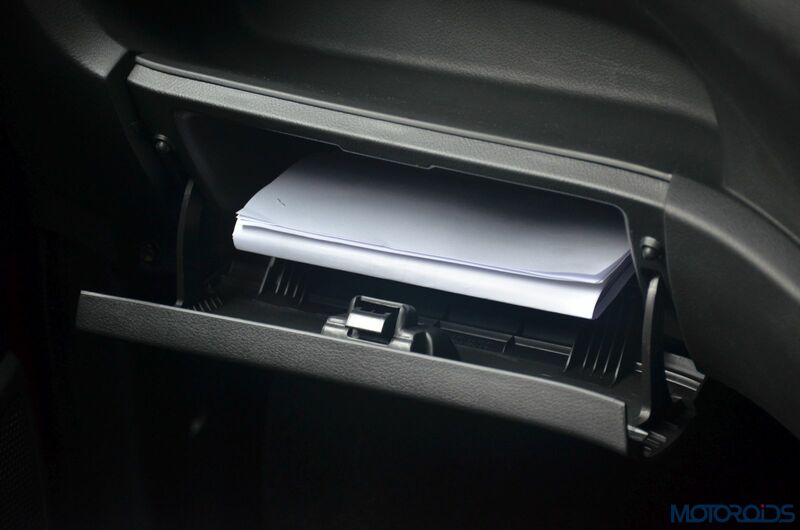 Working with the short throw gearbox, one realises that the redi-GO 1.0 isn’t all that eager off the line, but gets to the fruitilicous part hiccup free and gradually. 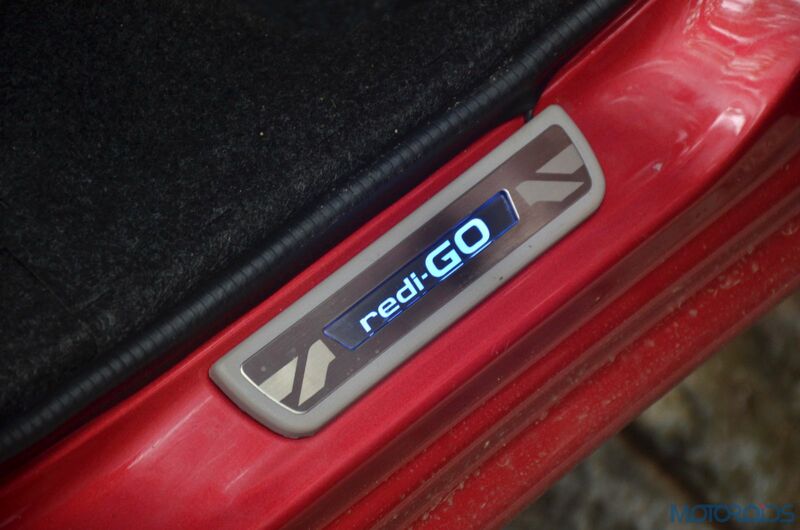 Once past the 2,000 rpm mark, the engine starts to deliver its goods, right till 5,000 rpm, where the redi-GO lives up to the latter part of its name. 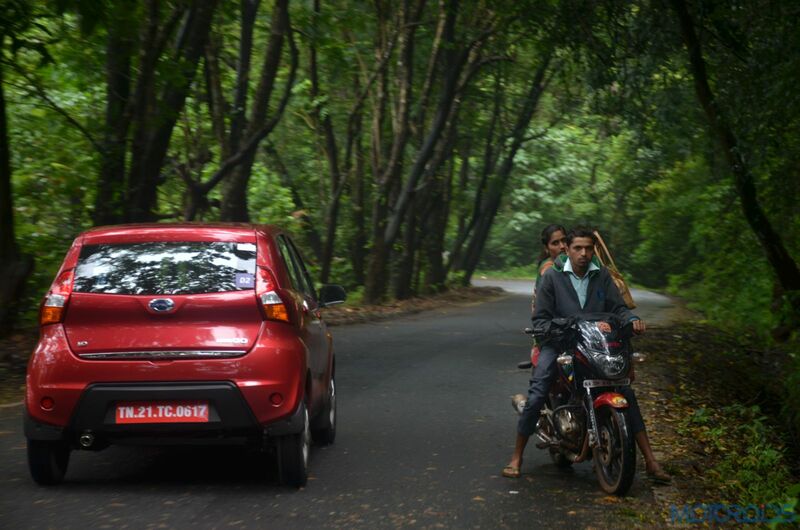 Around the narrow roads in Goa, a tall-ish third gear clawing out the goodness from a meaty mid-range turned out to be a quite some fun. 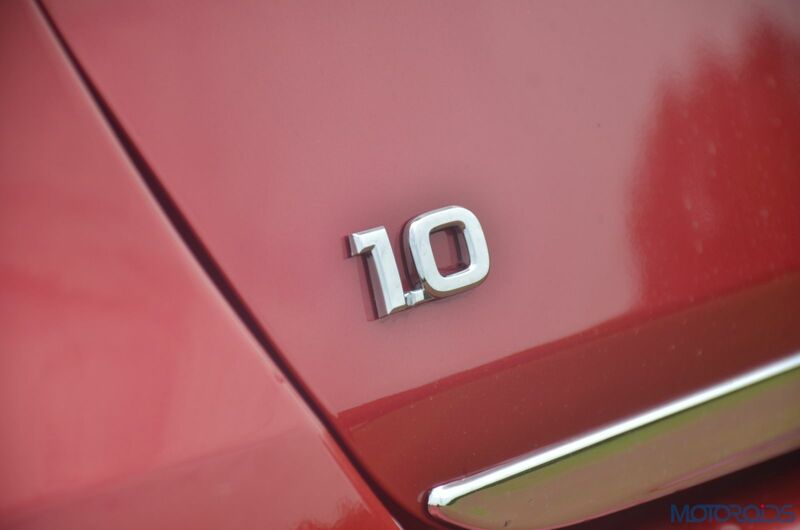 However, pushing the new 1.0-litre motor filled the cabin with its vocals, which I found somewhat enjoyable, but someone else thought it sounded like a mechanical thrum. 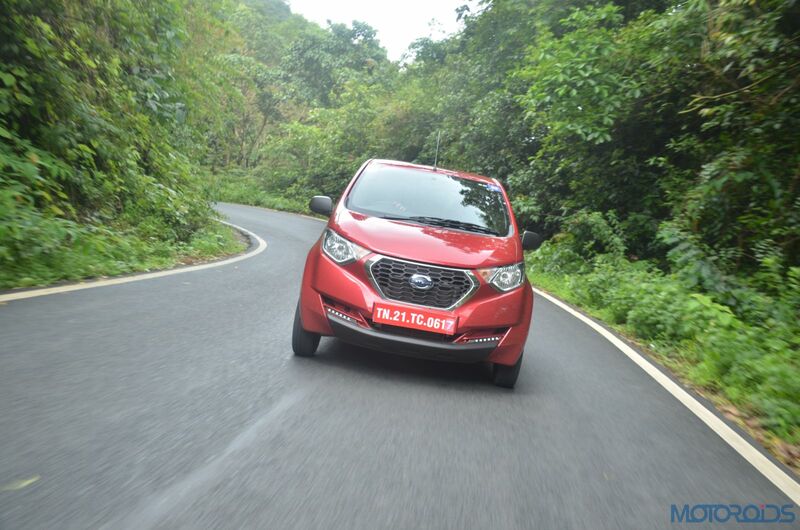 The redi-GO’s real world performance feels pretty matured for its size, especially on open roads, where the engine’s strong mid-range keeps momentum healthy. Second gear pulls from tall speed breakers is possible, but then we were just the two of us in the car when we experienced that. Short throws on the shifter make gearshifts easy, however, it could’ve been a better-oiled system, which would enhance the experience further. For standing tall above the surface and riding on skinny 155 section rubber, the redi-GO has its limits when you push it through corners. If you respect it for what it is though, it goes about its business pretty decently, although a bigger contact patch would’ve made things better. 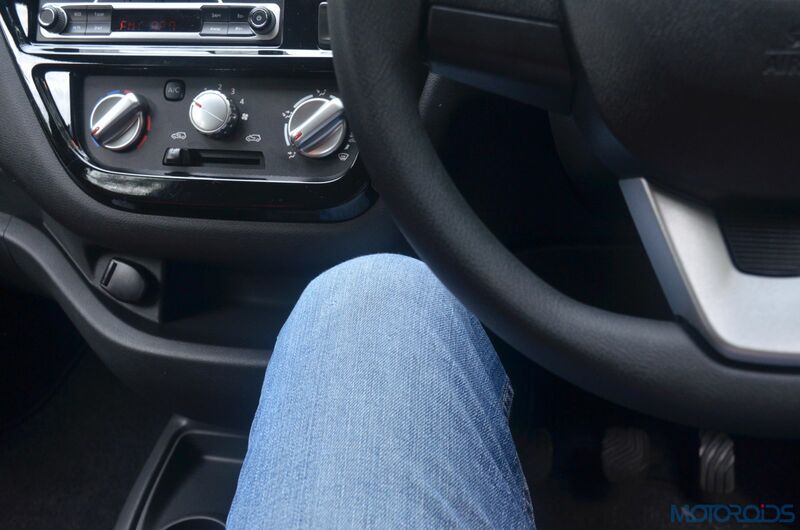 The non-adjustable steering wheel sticks true to its duty of getting the job done and is largely disconnected from the wheels. 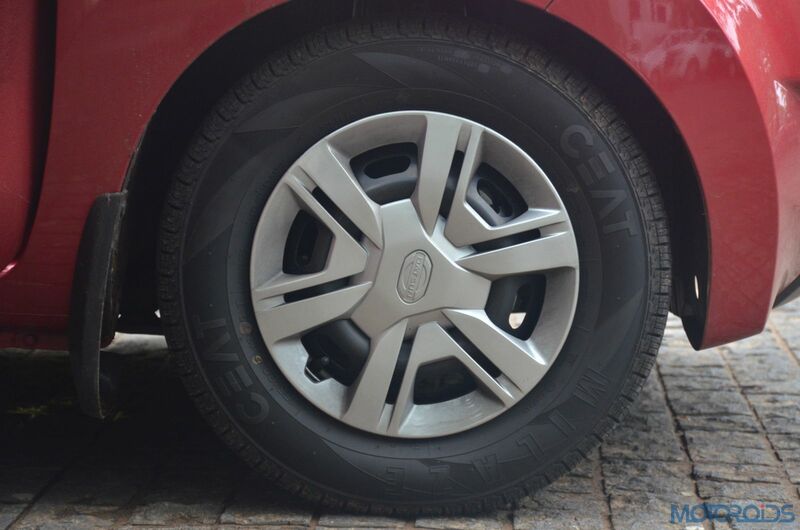 A basic suspension setup has been dialled to ‘Firm’, to ally with the car’s USP of high ground clearance. 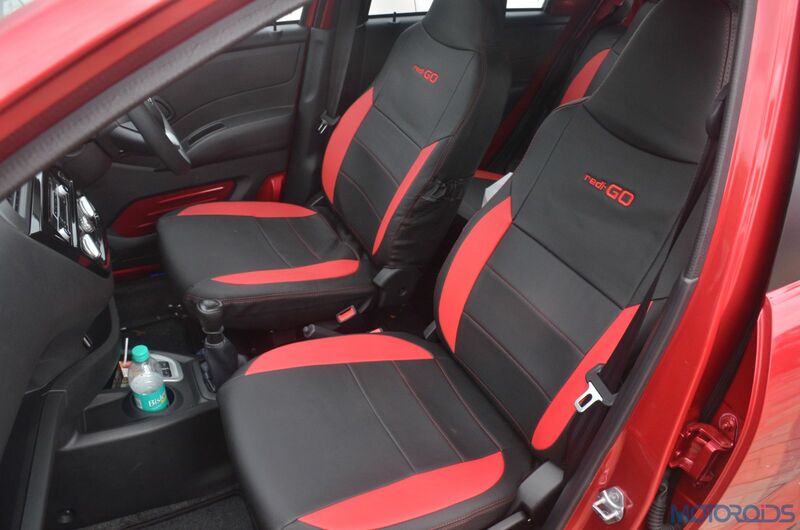 The Datsun redi-GO 1.0-litre also gets remote locking and an all-black cabin, which makes things appear a lot better on the inside when compared to the lighter colour scheme on the 800cc model. 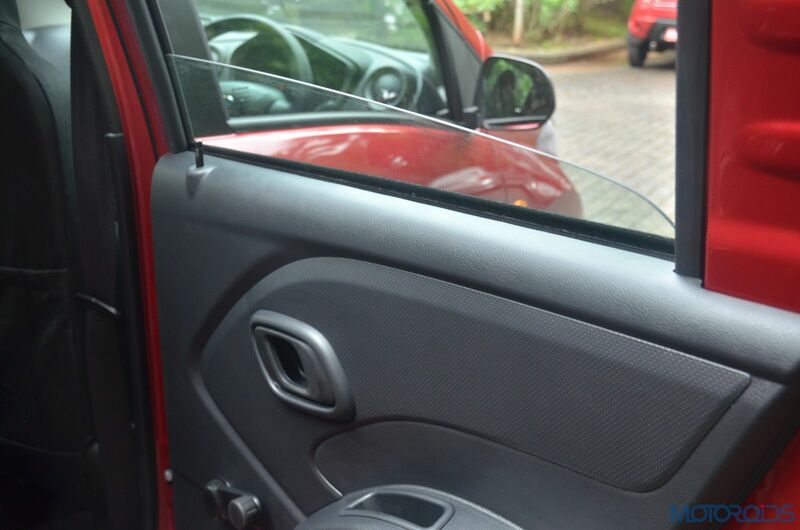 There’s some silver finish around the AC vents and the steering wheel which contrasts well with the all-black scheme. 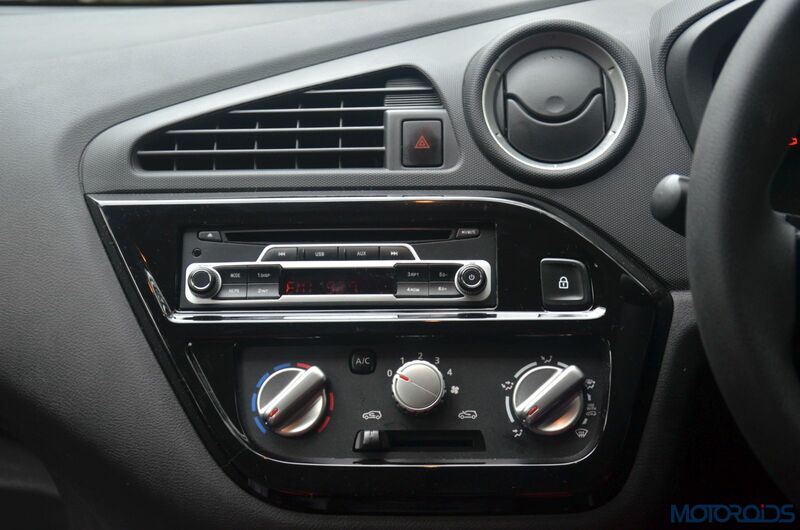 A little button on the centre console will lock all doors and the barebones audio system is still in love with compact discs when the world has moved on to Bluetooth. We’d trade that in favour of a bigger tyre any day! Colour Colour which colour do you want? The sound from that audio system doesn’t justify the quality that a Compact Disc can reproduce. Why not trade it for Bluetooth instead? 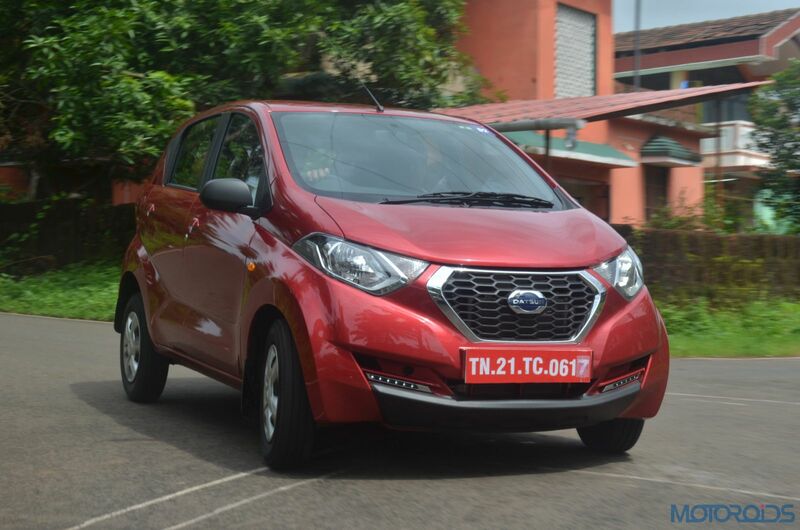 The Datsun redi-GO 1.0 is a great choice for someone shopping for a new car with budget constraints. 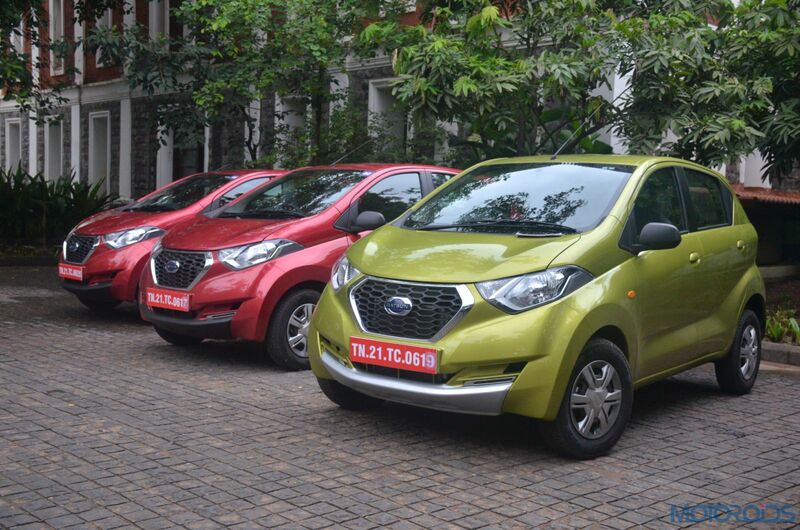 Backed by an ever expanding Nissan-Datsun touchpoint base, on its own, the redi-GO 1.0 now offers more zing in a package that looks youthful and puts a big check against utility and needs. 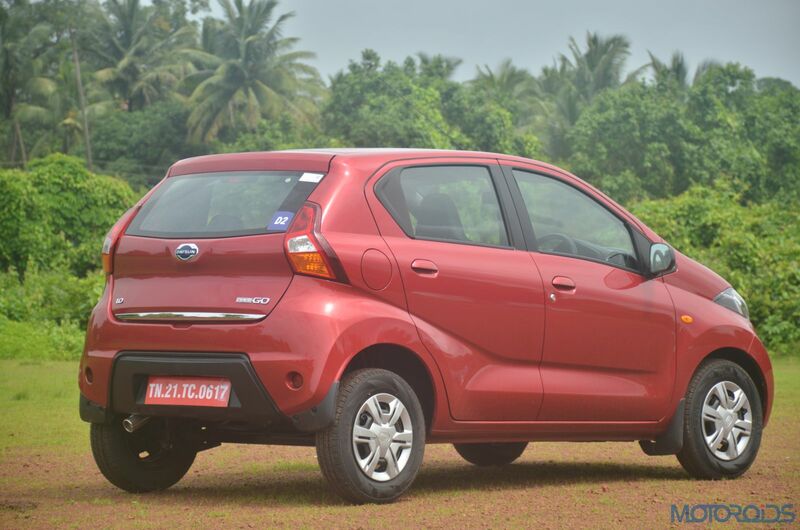 Datsun will also offer an unlimited mileage warranty extension package, which asks for Rs. 16,499, Rs. 22,599, and Rs. 33,399 for a period of three, four and five years respectively. 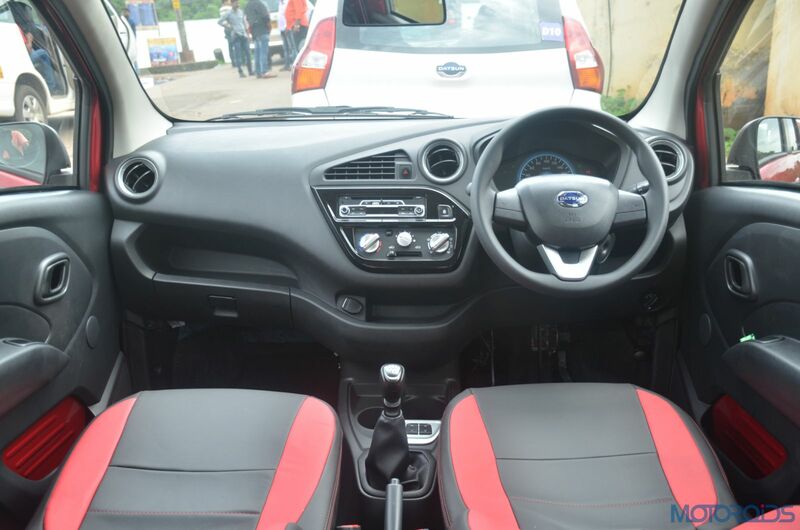 If you are buying into this segment and wish to drive something peppy, economical, without you and your co-passenger rubbing shoulders, do take a good look at the Datsun redi-GO 1.0.